3rd April 1917, aged 22. Son of Henry James and Martha Elizabeth Armitage, of Millicent, South Australia. Born at Norwood, South Australia. ​His headstone bears the inscription; "A Loving Son A Devoted Officer A Soldier And A Man." From Millicent, South Australia. 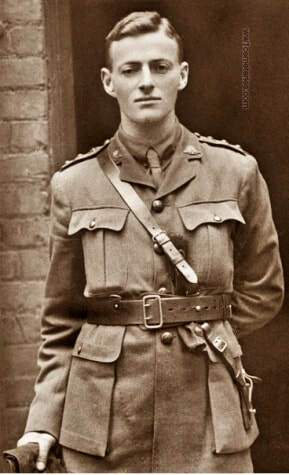 A 20 year old Adelaide University student prior to being appointed a Second Lieutenant on 24 March 1915, he embarked for overseas with the 5th Reinforcements of the 10th Battalion from Adelaide on 20 April 1915 aboard HMAT Hororata. 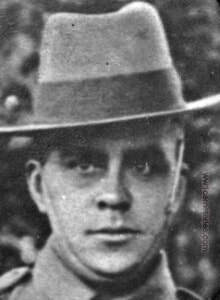 He joined the 10th Battalion at Gallipoli on 2 June 1915 and while serving there was promoted to Lieutenant. After the 10th Battalion returned to Egypt, he transferred to the 50th Battalion and was promoted to Captain before moving on to France in June 1916. 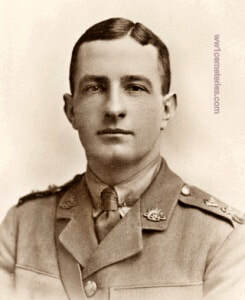 Capt Armitage was killed in action on 3 April 1917. 2nd April 1917, aged 27. Son of William and Agnes Ball, of Hart St., Semaphore, South Australia. Born at Adelaide, South Australia. A labourer from Semaphore, South Australia, prior to enlistment, he embarked with the 8th Reinforcements from Adelaide on 2 September 1915 aboard HMAT Anchises (A68) for Suez. He was transferred to the 50th Battalion in late February 1916. In mid-April he was admitted to hospital due to illness and then embarked for England. There he joined the 13th Training Battalion before eventually joining his battalion on the Western Front, France, in February 1917. Pte Ball was killed in action near Noreuil on 2 April 1917. His grave and 81 others were destroyed by shellfire and his name is recorded on a special memorial. He was aged 27 years. ​50th Bn. Australian Infantry, A. I. F.
2nd April 1917, aged 37. Son of Russell and Mary Ann Bath, of Renmark, South Australia. Born at Yongala, South Australia. A fisherman from Renmark, South Australia, prior to enlistment, he embarked with the 2nd Reinforcements from Adelaide on 11 April 1916 aboard HMAT Aeneas (A60) for Suez. The battalion relocated to the Western Front, France during early June 1916. In late July Pte Bath was hospitalised due to illness and evacuated to England before rejoining his unit in mid-December 1916. He was hospitalised again in late December 1916 due to illness and treated in France before rejoining the battalion in mid-February 1917. Pte Bath was killed in action near Noreuil on 2 April 1917. His grave and 81 others were destroyed by shellfire and his name is recorded on a special memorial. He was aged 37 years. From Goodwood, South Australia. 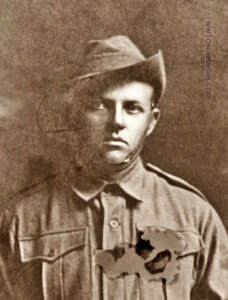 A 20 year old labourer prior to enlisting on 13 April 1915, he embarked for overseas with the 13th Reinforcements of the 10th Battalion from Adelaide on 11 January 1916 aboard HMAT Borda. After arriving in Egypt, he transferred to the 50th Battalion in February 1916 and went with them to France in June 1916. He was accidentally wounded in August 1916 and evacuated to England for medical treatment. After rejoining the 50th Battalion in France in March 1917, he was killed in action at Noreuil on 2 April 1917​. 3rd April 1917, aged 27. Son of Robert Ipsen Bidstrup and Minna Louisa Bidstrup, of Raglan St., Daylesford, Victoria, Australia. Born at Bendigo, Victoria. His headstone bears the inscription; "No Life Is Lost That's Nobly Spent; No Hero's Death Is Premature. Mother." From Hyde Park, South Australia. A 26 year old accountant prior to enlisting in the AIF on 28 May 1915, he attended the officer school at Duntroon and was commissioned a Second Lieutenant on 10 May 1916. He embarked for overseas with the 2nd Reinforcements of the 43rd Battalion from Adelaide on 12 August 1916 aboard HMAT Ballarat. Following further training in England, he joined the 50th Battalion in France on 9 November 1916. After being promoted to Lieutenant (Lt) on 19 February 1917, he was killed in action at Noreuil on 3 April 1917. "He was found by a search party, sent out to look for him, dead, riddled with bullets and his revolver empty. He was brought in and though I do not know where he was buried, this should be know in the battalion. I was not with the search party but had a talk with them just after they came back." 2nd April 1917, aged 28. Son of Thomas and Hannah Boston; husband of C. Boston, of Mount Gambier, South Australia. Born at Narracoorte, South Australia. His headstone bears the inscription; "Fond Memories Time Cannot Blot; Three Little Words, Forget Me Not." 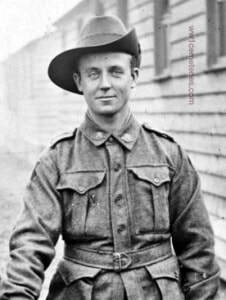 A labourer from Naracoorte, South Australia, prior to enlistment with his younger brother 3250 Pte Thomas Boston, they embarked with the 11th Reinforcements from Adelaide on 27 October 1915 aboard HMAT Benalla (A24) for Suez. In late February 1916 they were both transferred to the 50th Battalion which relocated to the Western Front, France early the following June. Pte Angus Boston was wounded in action at Pozieres on 16 August 1916 and was evacuated to England for treatment and recuperation before rejoining his unit near Bernafay, France, in late January 1917. 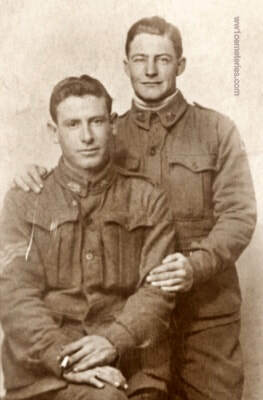 Both brothers were killed in action at Noreuil on 2 April 1917. 2nd April 1917, aged 25. His headstone bears the inscription; "Lead kindly Light." A baker from Naracoorte, South Australia, prior to enlistment with his older brother 3249 Pte Angus Boston, they embarked with the 11th Reinforcements from Adelaide on 27 October 1915 aboard HMAT Benalla (A24) for Suez. In late February 1916 they were both transferred to the 50th Battalion which relocated to the Western Front, France early the following June. 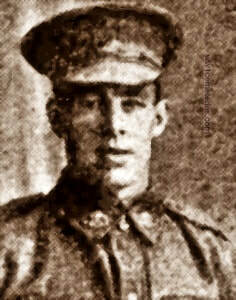 Private Thomas Boston was appointed Lance Corporal in mid-September 1916 and promoted to Corporal in late November. Both brothers were killed in action at Noreuil on 2 April 1917. Son of Harry Charles and Maud Mary Bulbeck, of Glenunga Avenue, Glen Osmond, South Australia. From Maylands, South Australia. A 26 year old bank manager prior to enlisting on 9 September 1915, he embarked for overseas with the 9th Reinforcements of the 27th Battalion from Adelaide on 7 February 1916 aboard HMAT Miltiades. Shortly after arriving in Egypt, he transferred to the 50th Battalion and reverted to the rank of Private. After arriving in France in June, he was promoted to Lance Corporal on 11 October, 1916 and then killed in action at Noreuil on 2 April 1917. A farmer from Yahl, South Australia, prior to enlistment, he embarked with the 3rd Reinforcements from Adelaide on 13 July 1916 aboard HMAT Seang Bee (A48) for Plymouth, England. Following training in England he joined his battalion on the Western Front near Buire, France. 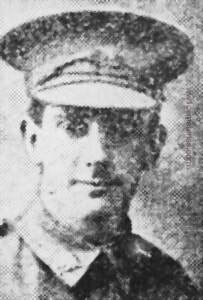 Pte Button was killed in action near Noreuil on 2 April 1917. 2nd April 1917, aged 39. Son of Thomas James and Alma Chenoweth; husband of Ann Chenoweth, of Avenue Rd., Highgate, South Australia. Born at Sellick's Hill, South Australia. His headstone bears the inscription; "Peace Perfect Peace." 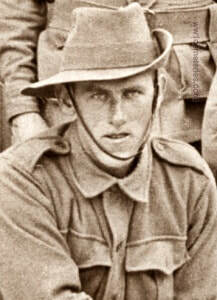 An orchardist from Kangarilla, South Australia, prior to enlistment, he embarked with the 4th Reinforcements from Adelaide on 1 August 1916 aboard HMAT Ballarat for Devonport, England. Following training in England he proceeded to France in early December 1916. He was hospitalised with illness and during this time was allocated the service number of 2153A. He joined his battalion on the Western Front near Buire, France, on 2 March 1917. Pte Chenoweth was killed in action during the attack on Noreuil on 2 April 1917 and he was buried in the Noreuil Australian Cemetery. His grave and 81 others were destroyed by shellfire and his name is recorded on a special memorial. He was aged 39 years. His youngest brother, 2602 Pte Edgar William Chenoweth, 21st Battalion later 7th Battalion, was killed in action near Ploegsteert, Belgium, on 27 June 1916 and his death is recorded by name in the War Diary of the 7th Battalion; this is unusual for a lower rank. He was aged 18 years. Edgar is buried at Berks Cemetery Extension. 6th May 1917, aged 20. Son of Sarah Dunstan (formerly Cornish), and the late Robert Alfred Cornish. Born at Mount Gambier, South Australia. 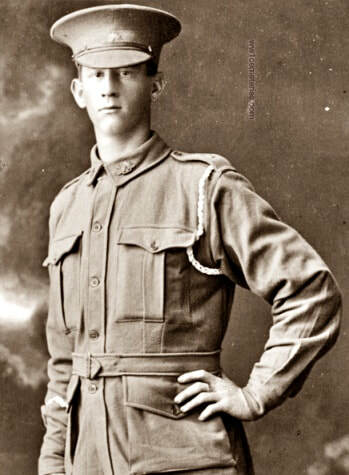 An 18 year old blacksmith from Jamestown, South Australia when he enlisted on 11 August 1915. He embarked for overseas with the 12th Reinforcements from Adelaide on 2 December 1915 aboard RMS Malwa. While serving with the 10th Battalion in France, he was killed in action on 6 May 1917 near Bullecourt and is buried in the Noreuil Australian Cemetery. 2nd April 1917, aged 23. Son of James and the late Jane Currie. Born at Mylor, South Australia. 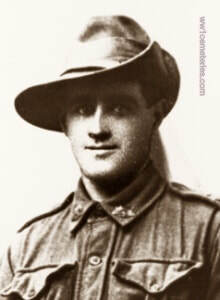 A labourer from Mylor, South Australia, prior to enlistment, he embarked with the 3rd Reinforcements from Adelaide on 13 July 1916 aboard HMAT Seang Bee (A48) for Plymouth, England. Following training in England he proceeded to France in mid-December 1916 to join his battalion on the Western Front near Buire. Pte Currie was killed in action near Noreuil on 2 April 1917. Son of Daniel and Mary Dullea, of Saddleworth, South Australia. His headstone bears the inscription; "​Beloved Son Of Mary & The Late Daniel Dullea Saddleworth." A clerk from Saddleworth, South Australia, prior to enlistment, he embarked with the 13th Reinforcements from Adelaide on 11 January 1916 aboard HMAT Borda for Suez. In late February 1916 he was transferred to the 50th Battalion which relocated the Western Front, France, in early June 1916. Pte Dullea was wounded in action near Albert on 14 August 1916 and was evacuated to England for treatment and recuperation before rejoining his unit in France in mid-February 1917. 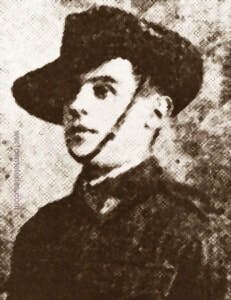 Pte Dullea was killed in action near Noreuil, France, on 2 April 1917 and was buried in the Noreuil Australian Cemetery. He was aged 22 years. His grave and 81 others were destroyed by shellfire and his name is recorded on a special memorial. Pte William Dullea was the youngest of four brothers to enlist during World War One. His oldest brother, 4166 Corporal Michael Dullea, enlisted at the same time and was later transferred to the 4th Pioneer Battalion; he was killed in action near Albert, France, on 3 August 1916 and is commemorated on the Villers-Bretonneux Memorial. The next oldest brother, 5691 Pte Charles John Dullea, enlisted in the 18th Reinforcements of the 10th Battalion and later transferred to the 43rd Battalion; he died of wounds received in action near Messines, France, on 1 August1917 and is buried at Trois Arbres Cemetery. 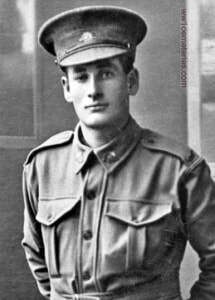 His next older brother, 732 Pte Thomas Dullea enlisted with the 1st Australian Remount and later transferred to Artillery. He rose to the rank of Sergeant (Sgt) and was wounded in action in April 1918 which required evacuation to England for treatment and recuperation until the end of hostilities. 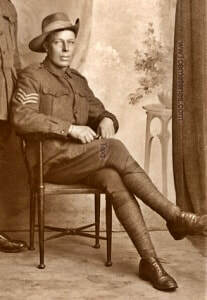 Sgt Dullea returned to Australia for discharge in June 1919. 2nd April 1917, aged 24. Son of Mrs. Jane Edgar, of 9, Hanson Place, Stevens St., Adelaide, South Australia. His headstone bears the inscription; "Tired Of War And Fell Asleep." A labourer from Adelaide, South Australia, prior to enlistment, he embarked with the 6th Reinforcements from Adelaide on 27 October 1915 aboard HMAT Benalla for Suez. In late February 1916 he was transferred to the 10th Battalion and then further transferred to the 50th Battalion in early April 1916. The 50th Battalion was relocated to the Western Front, France, during early June 1916. Pte Edgar was killed in action near Noreuil on 2 April 1917. Son of Thomas and Elizabeth M. Eglinton, of Forest Range, South Australia. His headstone bears the inscription; "In Loving Memory Of Our Dear Son; T. & E. Eglinton, S.A."
A labourer from Forest Range, South Australia, prior to enlistment, he embarked with the 3rd Reinforcements from Adelaide on 13 July 1916 aboard HMAT Seang Bee for Devonport, England. Following training in England he proceeded to France and was transferred to the 50th Battalion in mid-November 1916. 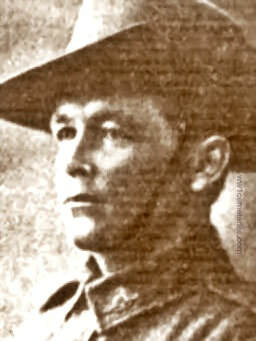 Pte Eglinton was killed in action near Noreuil on 2 April 1917 and was buried in the Noreuil Australian Cemetery. His grave and 81 others were destroyed by shellfire and his name is recorded on a special memorial. 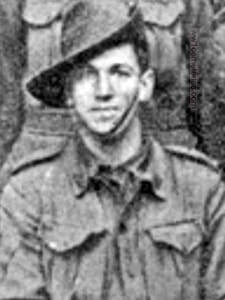 Pte Laurence Eglinton was the youngest of five brothers who enlisted during the First World War. His oldest brother, 2105 Pte John Charles Eglinton, enlisted on the same day in the 5th Pioneer Battalion and returned to Australia for discharge for family reasons on 8 November 1918. The next oldest, 1672 Pte Thomas William Eglinton, 50th Battalion, was killed in action near Villers-Bretonneux, France, on 9 May 1918 He was aged 32 years and is commemorated at the Adelaide Cemetery. The middle brother, 2023 Pte Wilfred Rowe Eglinton, 32nd Battalion, was wounded in action in July 1916 and was then accidently wounded during training on 7 January 1917 which resulted in his discharge as medically unfit in December 1917. His next older brother, 3104 Lance Corporal Clarence Roy Eglinton, 27th Battalion, was killed in action near Ypres, Belgium, on 29 September 1917. He was aged 26 years, he is commemorated on the Menin Gate Memorial. 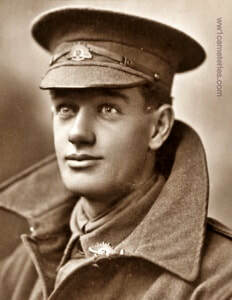 15th April 1917, aged 20. Son of Edward Henry and Annie Foord, of 38, Norton St., Ashfield, New South Wales. His headstone bears the inscription; "Out Of The Stress Of The Doing Into The Peace Of The Done." Son of Mr. W. S. and Maybel Foster, of Lucindale, South Australia. 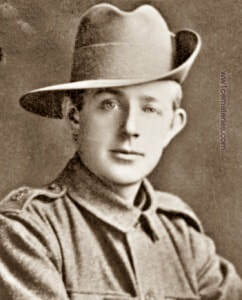 A grazier from Lucindale, South Australia, prior to enlistment, he embarked with the First Reinforcements from Melbourne on 27 December 1914 aboard HMAT Themistocles for Suez. His battalion landed at Gallipoli on 25 April 1915. Pte Foster was wounded in action on 15 May 1915 and was evacuated to England for treatment and recuperation before rejoining his battalion in Egypt. In late February 1916 he was transferred to the 50th Battalion which relocated to the Western Front, France, in early June 1916 and he was appointed Lance Corporal a month later. L Cpl Foster was killed in action near Noreuil on 2 April 1917. "He was digging in and had just settled in the trench about half an hour, a piece of shell hit him on the face and head, killing him right out, at Noreuil. He was buried in Noreuil Gully and has a cross on his grave. We were both working the same gun when Foster was hit." 2nd April 1917, aged 19. Son of Ernest Edward and Mary Gertrude Freeman, of High St., Gawler, South Australia. His headstone bears the inscription; "Dearly Loved, Though Sadly Missed." 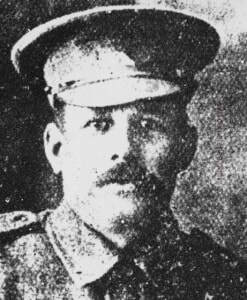 A dental mechanic from Gawler, South Australia, prior to enlistment, he embarked with the 3rd Reinforcements from Adelaide on 13 July 1916 aboard HMAT Seang Bee for England. During training in England he was appointed Lance Corporal and then Temporary Corporal but reverted to the ranks before joining his battalion on the Western Front in November 1916. 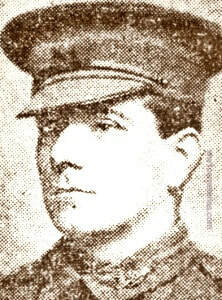 Pte Freeman was killed in action near Noreuil, France, on 2 April 1917. Son of Horace Barnes Funnell and Alice Kate Funnell, of 64, Fisher St., Norwood, South Australia. A clerk from Norwood, South Australia, prior to enlistment, he embarked with the 5th Reinforcements from Adelaide on 21 September 1916 aboard HMAT Commonwealth for Plymouth England. After four weeks training in England he proceeded to France and joined his battalion on the Western Front in mid-December 1916 when he was appointed a Lance Corporal. L. Cpl Funnell was killed in action near Noreuil on 2nd April 1917. 17th Bn. 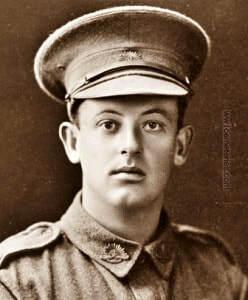 Australian Infantry, A. I. F.
15th April 1917, aged 34. Son of Thomas Henry Maxwell Gallogly and Bridget Gallogly; husband of K. M. Gallogly, of "Moora," Homedale Avenue, Concord, New South Wales. Born at Gundagai, New South Wales. His headstone bears the inscription; "May He Rest In Peace." An auctioneer and motor driver from Gulgong NSW enlisted on 23 April 1915 and embarked from Sydney on 28 July 1915 on board HMAT A23 Suffolk. "We were at Lagnicourt on that date (15th April) and i saw Gallogly killed by a shell at about 4.p.m. He was out at No.7 post for the Machine Gun, in No Man's land at the time and was killed instantly." "He was hit by a bursting shell and had his right leg completely smashed and died shortly afterwards. I then asked three more of my mates to help me cary him back to a village named Noreuil. I then dug a grave for him, also went and found our Catholic Chaplain, Father Clune, who read the burial service over his grave. ​I sent all his personal belongings to his wife, also wrote to his people and told them everything about him, for Sgt. Gallogly was the best mate I ever had and we were together for over eighteen months and were never apart until he was killed." Son of Fairfax and Ada Gascoigne, of Porto Belle House, Portobelle Rd., Wakefield, Yorks, England. 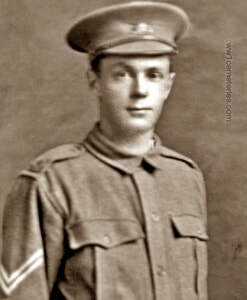 A labourer from Port Adelaide, South Australia, prior to enlistment, he embarked with the 2nd Reinforcements from Adelaide on 11 April 1916 aboard HMAT Aeneas for England. After a period of training in England he joined his unit on the Western Front near Abbeville, France. Pte Gascoigne was initially reported missing in action near Noreuil, France, on 2 April 1917, was subsequently confirmed as being killed in action on that date. 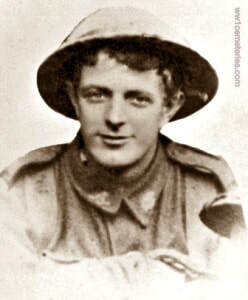 ​Son of John Payne Griffen and Elizabeth Griffen, of Riverton, South Australia. His headstone bears the inscription; "Beloved Son Of John & Elizabeth Griffen Of Riverton, S.A."
A 21 year old storeman prior to enlisting on 9 February 1916, he embarked for overseas with the 7th Reinforcements from Adelaide on 6 November 1916 aboard HMAT Afric. Following further training in England, he went to France where he joined the 50th Battalion on 18 March 1917. A little over two weeks later, he was killed in action at Noreuil on 2 April 1917 and buried in the Noreuil Australian Cemetery, France. He was aged 22 years. 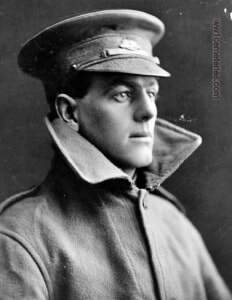 His brother, Second Lieutenant Reginald Theodore Griffen, 32nd Battalion, was killed in action on 20 July 1916 at the Battle of Fromelles, he is now buried at Fromelles (Pheasant Wood) Military Cemetery. 22nd April 1917, aged 20. Son of George and Sarah Elizabeth Hallett, Born at Crymelon, Warracknabeal, Victoria, Australia. From Dalby, QLD, he enlisted on 10 February 1916 and was killed in action at Noreuil, France on 22 April 1917, aged 20 years. "He was killed by a shell which killed 5 others at Noreuil, in the railway cutting. I was present when he was carried to a small cemetery, about 10 graves in it, just to the right of Noreuil, near the railway cutting and we buried him there, and just put a temporary cross up." Son of William Hanna Hoggarth and Helen Hoggarth. Born at Adelaide, South Australia. From Hawthorn, South Australia. A 25 year old engineer prior to enlisting on 29 August 1914, he embarked for overseas as a Private (service number 758) with E Company, 10th Battalion from Adelaide on 20 October 1914 aboard HMAT Ascanius. While serving at Gallipoli, he was wounded in action and evacuated to Cairo for medical treatment and after recovering, returned to the 10th Battalion at Gallipoli. Back in Egypt, he transferred to the 50th Battalion and having previously been promoted up through the ranks to Temporary Company Sergeant Major, he was appointed a Second Lieutenant on 17 March 1916. He proceeded to France with the 50th Battalion in June and was promoted to Lieutenant on 10 July 1916. 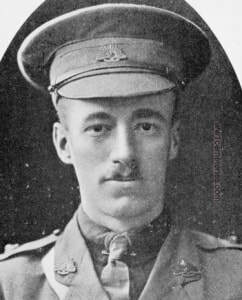 After being wounded in action near Mouquet Farm on 15 August 1916, he was evacuated to England for medical treatment. He rejoined the 50th Battalion on 14 November 1916 and was killed in action at Noreuil on 2 April 1917. 2nd April 1917, aged 252. Son of Robert and Mary James, of Gaffney Lane, Broken Hill, New South Wales. His headstone bears the inscription; "Sleep On Dear John, Sweetly Rest. We Miss You Most Who Loved You Best." From Broken Hill, NSW. A 22 year old labourer prior to enlisting on 28 November 1914, he embarked for overseas as a Private with the 2nd Reinforcements of the 10th Battalion from Melbourne on 2 February 1915 aboard HMAT Clan McGillivray. After serving at Gallipoli with the 10th Battalion, he transferred to the 50th Battalion in Egypt and was promoted to Corporal and then to Sergeant. 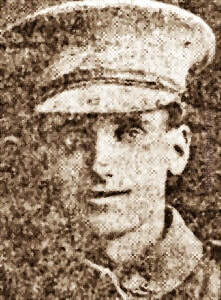 The battalion went to France in June 1916 and Sgt James was killed in action at Noreuil on 2 April 1917. "H.Q. M/G (Machine Gun), was Sergeant. on 2nd April 1917, he was killed outright whilst on his gun at Noreuil in general action. I was taken P/W (Prisoner of War) half an hour later. When I left, we had place body so as to hide the M/G." "Was attached to H.Qrs. Was a Sergeant. I saw his body immediately after he was hit. He was killed instantly by machine gun bullet. Hit through the head. It happened at Noreuil (Bullecourt) during the "Hop Over." he was buried at Noreuil, near a "Fritz" cemetery. There was no cross up when I saw his grave." 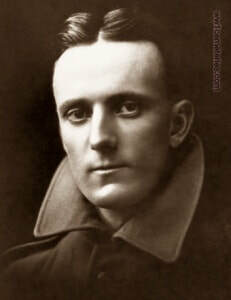 Son of Charles Henry and Rebecca Jeffries; husband of Caroline L. Jeffries, of 108, Gilles St., Adelaide, South Australia. His headstone bears the inscription; "To Love And Then To Part Is The Saddest Story Of A Human Heart." Son of Mr. E. C. and Mrs. Ellen Johnson, of Hermitage, Houghton, South Australia. His headstone bears the inscription; "He Sacrificed His Life For His Own Loved Ones." From Houghton, South Australia. A 24 year old gardener prior to enlisting on 13 May 1916, he embarked for overseas with the 5th Reinforcements of 50th Battalion from Adelaide on 21 September 1916 aboard HMAT Commonwealth. Following further training in England, he proceeded to France where he joined the 50th Battalion on 10 January 1917. He was wounded in action on 13 January 1917, returned to his unit on 12 March 1917 but was then killed in action near Noreuil, France on 2 April 1917. "Our objective was the village of Noreuil and the railway line beyond. Just as we were going into the village, they opened up M/G fire and he was killed and buried in the cemetery in front of Noreuil." 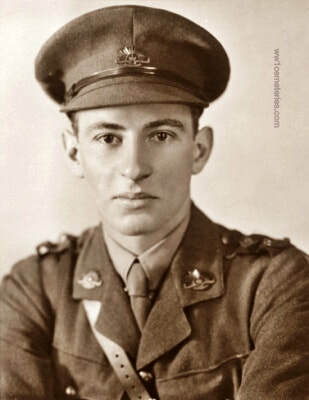 3rd April 1917, aged 21. Son of The Rev. Canon G. H Jose and Clara Ellen Jose, of Christ Church Rectory North Adelaide, South Australia. Born in Ningpo, China. His headstone bears the inscription; "Beloved Second Son Of Canon And Mrs. Jose, N. Adelaide, S. Australia." Son of Eli and Annie Joyce, of Paruna, South Australia. Born at Gumeracha, South Australia. His headstone bears the inscription; "Until The Day Breaks And The Shadows Flee Away." Son of Samuel Kirby Kingsley and Mary Wardsley Kingsley, of 25, Flora Terrace, Prospect, South Australia. ​His headstone bears the inscription; "Quartered By Death I Remain, When The Bugle Calls I Will March Again." A 23 year old fireman with the South Australian Railways prior to enlisting on 28 August 1916, he embarked for overseas with the 6th Reinforcements from Adelaide on 23 October 1916 aboard HMAT Port Melbourne. Following further training in England, he proceeded to France where he joined the 50th Battalion on 19 March 1917. 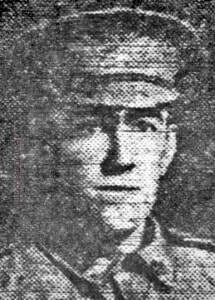 Pte Kingsley was killed in action at Noreuil, France on 2 April 1917.